This is an easy dessert that features in my mom's recipe book. 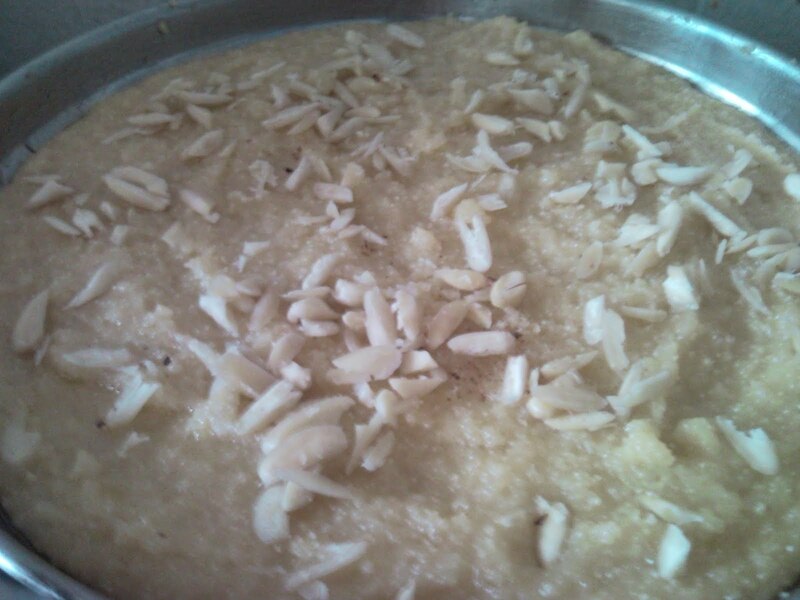 Its a Lebanese sweet dish and is great for those who don't have ovens and can't bake. Its simple and does not take too much time to put together. Ingredients: 1 1/2 cups of semolina (rava), 2 cups of sugar, 3 cups of milk, 1 cup of orange juice (the packaged ones are fine), 1 tbsp of almond sliver and a pinch of cinnamon powder. 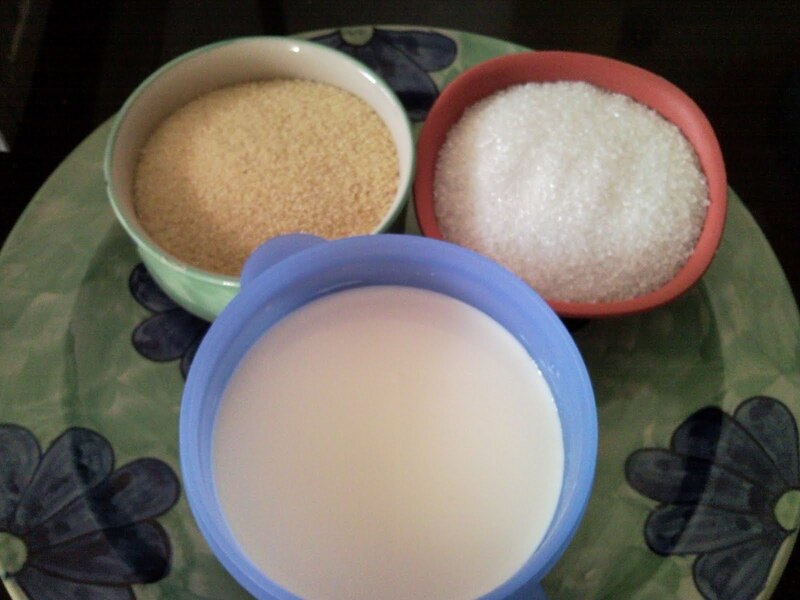 Method: Cook the semolina, sugar and milk on medium heat, stirring it all the while. Add the orange juice and continue cooking. Stir till the mixture begins to thicken. Pour into a greased dish and allow to cool. 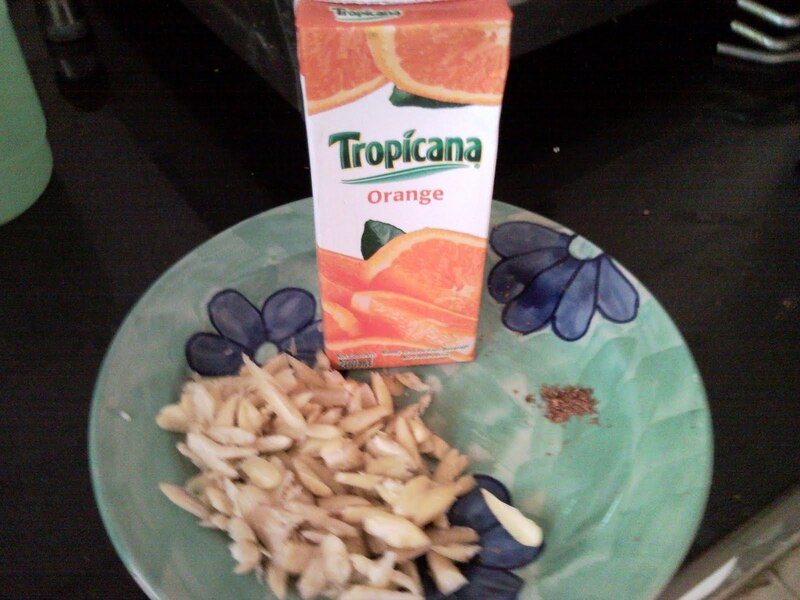 Garnish with almond sliver and cinnamon powder. This dessert has more of a gooey consistency than something you can slice and eat. Its quite heavy considering the amount of sugar and milk used.